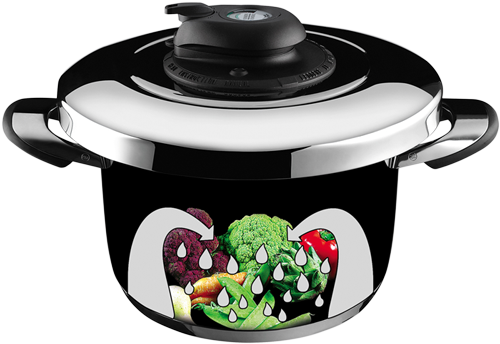 The pressure cooking lid is an innovative product. You will be saving up to 70% of the usual cooking time and up to 50% of the energy you should usually need. The pressure cooker not only cooks faster, but the ingredients also retain their qualities, natural flavours and nutritive characteristics. Made of safe and hygienic 18/10 stainless steel. You can use the pressure lid with a range of 24 cm. diameter pots of different capacity: 4.0 litres, 5.6 litres, 6.7 litres, 9 litres.  The pressure cooker is ideal for all types of heat sources: induction, radiant plates, gas, electric, glass ceramic plates. 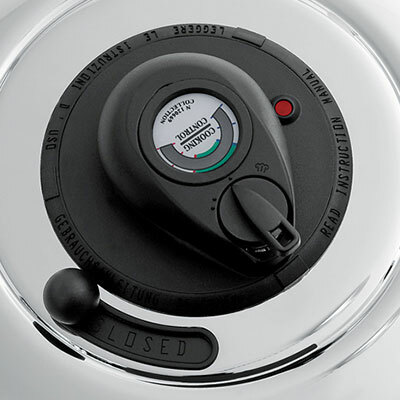 Thanks to the special thermometer with three temperature zones you can control the temperature during cooking. Position: for fast cooking of meats. This product complies with the requirements of EN Directive 12778 on pressure equipment. Conformity to this Directive is attested by CE and TUV marking. requirements of health regulation No. 1935/2004/EC. This product is certified as totally made in Italy.